Climb, come down, pass over... 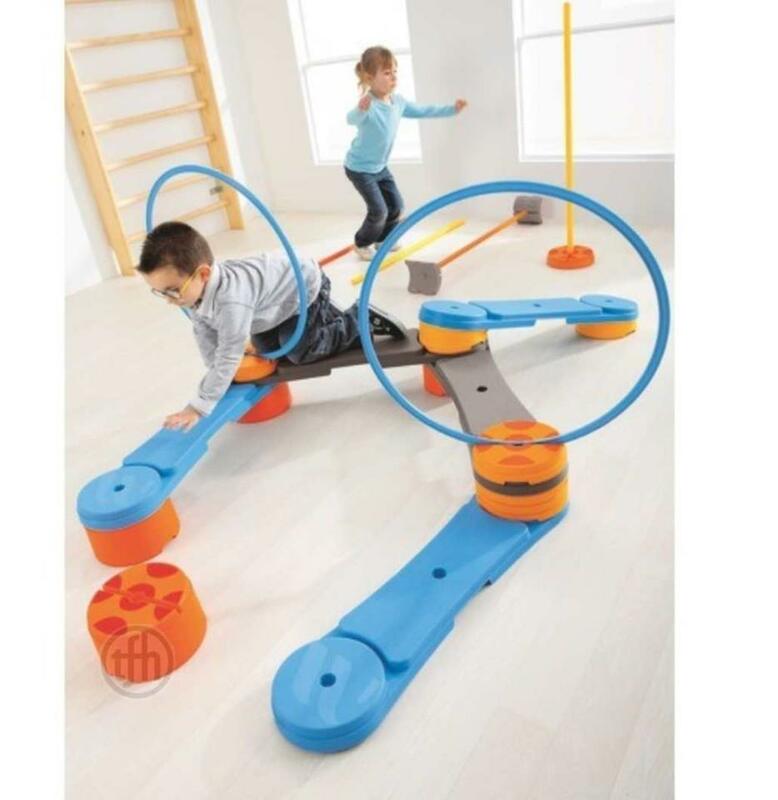 These sensory pathways are higher and more varied to improve concentration, body awareness, and motor skill abilities. Modular courses designed to develop a sense of balance, observation, coordination and muscle strengthening. The wooden units and the plastic units are compatible! 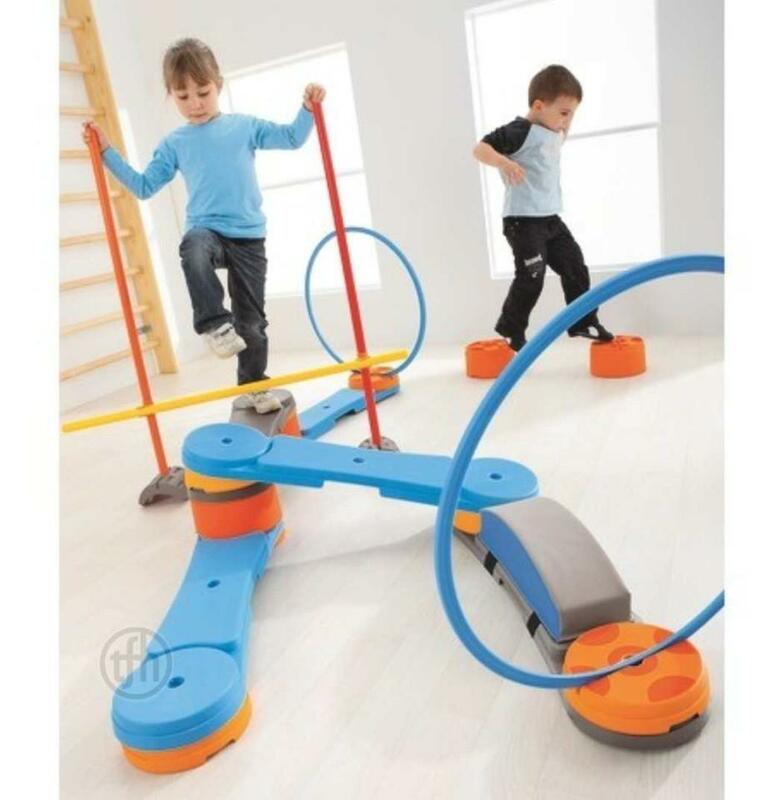 The Up and Down Sensory Path range allows the creation of an infinite number of motor skills courses and gymnastic activities. Fully modular and very strong, this range has been specially designed for intensive group use. Its elements are compatible with our hoops and poles. 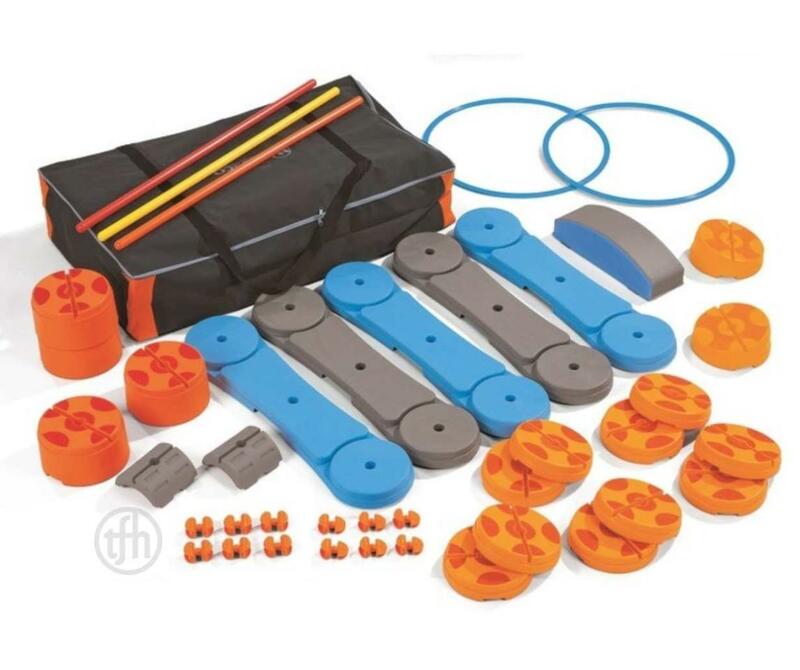 Composition : 5 slats , 10 small blocks , 2 sloping blocks , 4 large blocks , 2 hoops: Ø 60 cm , 3 batons: 100 cm , 1 pack of 6 double clips for batons , 1 pack of 6 double clips for hoops , 1 pack of bumpers , 1 wave obstacle , 1 storage case.